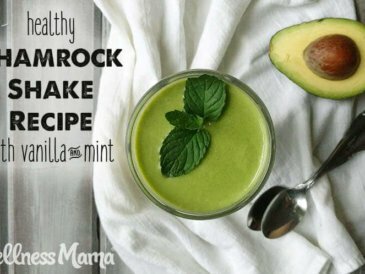 Preparing meals for the family doesn’t have to an overwhelming, daily project for mom. Kids can help! 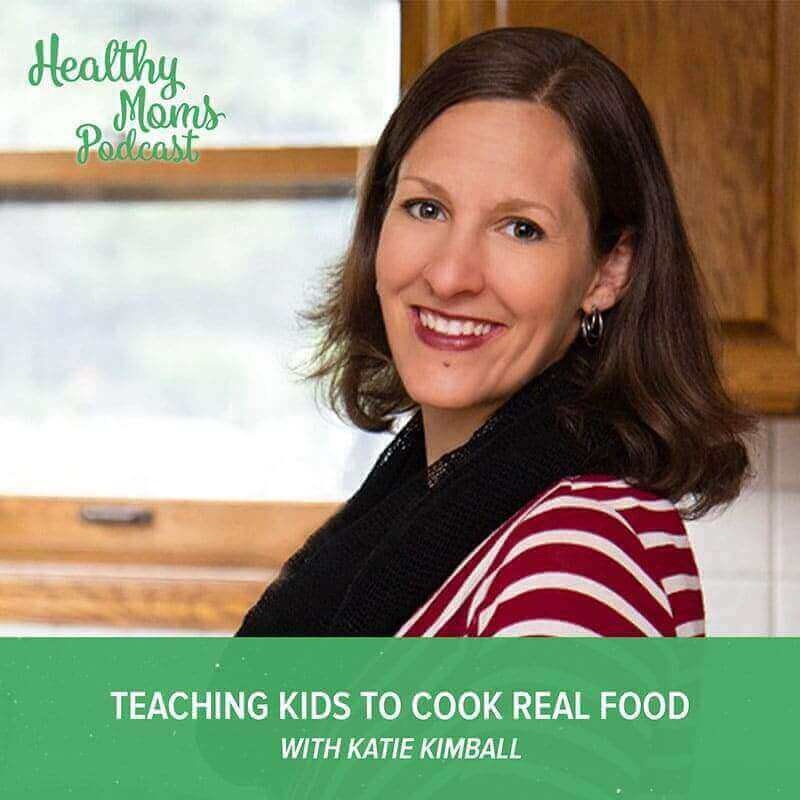 In this podcast episode, I’m again joined by Katie Kimball, who shares her expertise on teaching kids to cook real food in the kitchen. 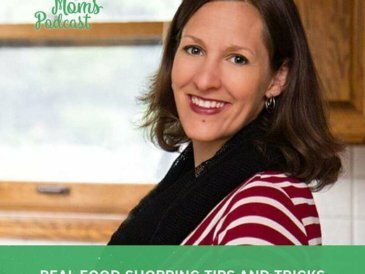 Katie Kimball has created an excellent course called Kids Cook Real Food, which helps moms teach their children cooking skills from a very young age and facilitates children helping prepare meals. 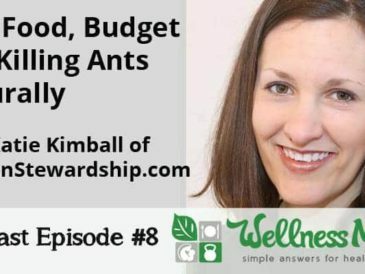 She is also the founder of KitchenStewardship.com, a blog that encourages other moms to take baby steps to better nutrition for their families while balancing their limited time and budget. Why Teach Kids to Cook? Teaching kids to cook saves time. For example, one child who learned from Katie’s course is only 3 years old, but now insists on making her own peanut butter sandwiches every day. When kids work with the food themselves, they are more excited to eat it. It helps kids build authentic self-esteem. In our Western culture, we can often overprotect our children from simple tasks with sharp kitchen knives. As Katie Kimball explains, knife skills are not only safe to learn, they are also important. 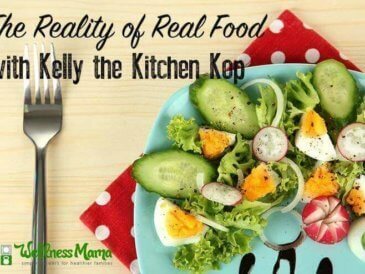 Cutting raw vegetables is integral to healthy eating habits. Becoming confident in this area is very important. Using real tools like a kitchen knife builds real confidence in children. Age appropriate knife skills—going from a butter knife, to a paring knife, to a chef’s knife—is a safe and valuable learning process. Helping out in the kitchen is not a task reserved for older kids. Katie recommends these skills as good starters for younger kids. • Butter knife skills: cutting bananas, spreading butter, etc. Katie Kimball has offered her 3-video series for teaching kids how to help out in the kitchen. 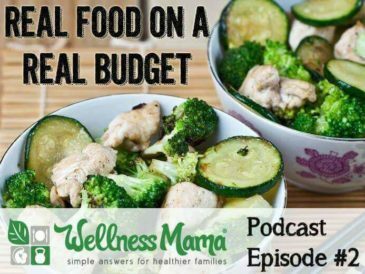 It’s called, Kitchen Skills for Kids, and it’s for free to listeners of the podcast. 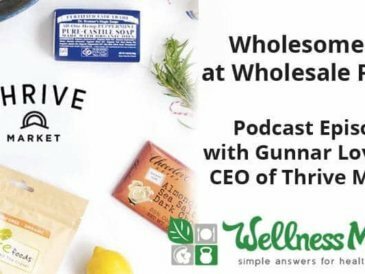 Click here to get access now.